I believe healing happens during waves. I've never had a clear window but I get murky ones. I was in a tsunami which started early January. The last few days I've had some changes. I have most of the symptoms I usually have which I won't go into here but there are a few symptoms which have been a bit better the last few days. My brain zaps have been gone since Saturday and I had them for a year prior to this. My eyes are better than normal. My eye pressure is better today. My head feels clearer. I've not cried for days and I was having massive crying spells. I've not had many hot flashes or sweats and I was having them every half hour recently. So something has shifted. Last year I had a dreadful and long wave. Just before Christmas and after that appalling wave, I wasn't in a full window but I felt connection for the first time in so long. I also felt a little bit cheerful. I felt hopeful and felt certain that healing would come. I had shed loads of symptoms but those improvements were significant. The connection isn't back yet but the fact that it came back then shows it will again. I hope this helps. Improvements do happen after waves. I'm never going to be able to drop lower than this. It helps if I imagine my brain struggling to re-grow connctions in places the drug had blocked. Helps me hang in there until things stabalize. Reading success stories is also encouraging. Thanks for yours (above) Winning Through. I may have asked this before but has anyone experienced DAILY windows and wave paytern? I can feel great for a day or sometimes 2 and then terrible the next day. What part of healing is this? One day I'm full of ambition and the next i am tired and want to crawl under a rock and i dont like talking to people. I thought the pattern would be more of 2 weeks good then a month bad and so on. But every other day is not what i have read on here. Could this mean it wont last as long? Real confused about this pattern. I'd be curious about this too, because in the beginning, this is pretty much the way my pattern went. I didn't feel wonderful during the "good" days--but decent. Then I would have a bad day or two, etc. Even now, at 9 months out, I am more likely to have a bad day or two, four days or so of "baseline", and a decent day. The exception to this would be a "flare" I had at four months, an even harder/longer one at six months, and a recent one that lasted about 2 weeks at almost 9 months. I'm glad my post helped, indigo. If it helps, after it wrote that I went into my best window yet and it lasted about a week. I got some emotions back, my terror went right down and I had an improvement in the depression. I even enjoyed things a bit. My akathisia went down to the best it's been. I'm in a monster wave now but I'm hoping when it ends, I will see another window. Keep going. Hi DLB. I read about someone on the benzo website who had an every other thing going on. She had akathisia. It was constant and then, before she healed, it went to every other day. She had one day akathisia, the next day no akathisia, the next day akathisia, then no akathisia and so on. Then her akathisia went. I would say it's a good sign that you are having this pattern. I'm a little different from the pattern in here, I don't think I've had windows/waves in withdrawal. But. It reminds me of this (which could have been withdrawal or drug related as they tried me on a "new drug" and then I went off again, etc. - or - the long period of time I was on Wellbutrin, but just couldn't seem to quit it, but kept trying to quit). The pattern was CALLED: "hypomanic / bipolar depression" (windows / waves). It was what got me "diagnosed" as "bipolar." When I was hypomanic I could do something. I could go to work, accomplish goals, wash the car, pay the bills, make the phone calls, wash the dog, vacuum the floor, do the dishes, mow the lawn. THEN after 1-3 days of "hypomanic" or windows, I would collapse in a heap and watch the papers and bills, trash, dishes, filth pile up again for weeks, until I was well rested enough to try again. At the first inkling of energy (because the "depressed" inactivity is soul destroying) - I would start again, and do AS MUCH AS I COULD until I collapsed again. I laughed it off and called it "spurt working," but really, I was barely holding it together because these windows, these times of "hypomania. ", were the only functioning I had. There was a DIRECT CORRELATION between how hard I worked during my window / hypomania, and HOW LONG and DEEP my ensuing depression was. If I got to washing the dog and mowing the lawn, it might be 3 weeks or more before I'd see the light of day. This is a cautionary tale: when in a window, learn to relax and flow. Don't push. I know, things aren't getting done, and you are tired of it - but if you push too hard, the wave will crash deeper. I may have asked this before but has anyone experienced DAILY windows and wave paytern? 2. When you were a child, do you remember anything before age 4? No? That's because your brain was building so fast, it literally couldn't retain memories (ref: http://www.abc.net.au/catalyst/stories/4198637.htm). It takes 4 years to build a brain from scratch. Age 7 is where the "age of reason" begins, and a child supposedly knows right from wrong (in several religions). So it takes 7 years to build a discerning brain. Do you remember the difference between your brain at age 7 and age 13? What about the difference between age 14 and age 21? BIG difference, huh? Now compare these times to the number of years you were on the drug/s. Think about what your brain was like then, and what your brain is like now. Do not expect yourself to heal in days, weeks, or even months. The brain is an amazing thing. Respect it, and don't put it to a schedule. IT WILL HEAL. It IS HEALING! But it will take time. Be patient with your brain, let it grow itself anew. Is there a psychiatric paper or some document that talks about the windows and waves pattern of recovery? I have had windows and waves in one single day. I might be feeling great for a couple of hours and all of a sudden experience symptoms in my head and then have an outburst of irritability or crying. But it's been going like this for almost a year, and the strange thing is I don't feel improvement, but worsening of depression as the months go by, I don't know if it's my original condition along with withdrawal making me hopeless, or something else. My doctor doesn't believe withdrawal recovery happens this way. He says I might have something wrong with the electrical activity in my brain and wants me to get an electroencephalogram. But I want to show him about the windows and waves pattern anyway. Cdav, try googling PAWS syndrome. It's all right there. Not that I know of, but I did start seeing a psychiatrist who confirmed my diagnosis of severe prolonged withdrawal. Although he has never treated anybody with it except me, he has read enough case studies to know that what I am experiencing is legitimate. He told me that these medications affect the brain in the exact same way that illegal drugs do. I told him that if I had known that then I never would have agreed to take them, no matter what, and he said that he thinks a lot of people would not agree to take them if they knew that. He also said that he does believe in meds, but only for very, very, very severe cases. I'm sorry that doesn't help to answer your question, but maybe it can give you internal courage to know that there are psychiatrists who do believe us Your psychiatrist needs to be willing to give credence to case studies. I have gone through two recoveries from benzo's and neither time did I experience "waves/windows" recovery but a steady ever increasing lifting of symptoms after the initial acute stage which during my first recovery , lasted for 4 years with very very little improvement and then only a gradual almost imperceptible change. BUT, I did continue to improve over time. More about daily patterns - if it's not a regular stressor - that stressor could be your own chemicals, which flow in a cyclic way. The big one you hear people talk about here in SA is cortisol, but there are other ones, too. Cortisol helps you wake up and get things done - but can fire inappropriately in a "fight or flight" kind of way. Blood sugar can do similar things - becoming aware of my sugar spikes has been really helpful in controlling my mood and head aches and "headspins" (I don't know what esle to call them). Even melatonin - how much daylight you take in, and how much night light you expose yourself to - can affect your daily cycles. Daily cycles actually are easier to deduce than the long, up for a week, down for 12 weeks, up for a day, down for 3 weeks, up for 10 minutes, down for another 5 days type of cycles - because there are things you are doing daily that can contribute to those daily cycles. Sometimes it's stress or trauma (the time of day "that thing" happened). But usually, it's about your cortisol, blood sugar, hormones, thyroid, etc., when you have daily waves and windows. What time you take your medicines, what time you eat, WHAT you eat (protein / sugar / carbs / fat, etc), how much light, when you drive then car, when the kids get home from school, when the news comes on, can all be tied to your own natural chemicals - which are emphasized in withdrawal. What would normally be a blip on the map, becomes a full blown tornado, in withdrawal. It takes a lot of detail to map a day, but I would start by mapping - when you take your medicine, when (and what) you eat, and when you have your waves - to see if you can find a pattern to help you through. I have read that during recovery, waves can tend to come on the "moon cycle" of 30, 60, 90, 120, 180 days etc. Has anyone experienced this? 6 days before my 180 day anniversary of cold turkey off of antidepressants I have had a wave that lasted a month, and now seems to be lifting the past few days (thankfully!). I find it interesting that so much of what I have learned from this site and other sites that discuss PAWS and Discontinuation Syndrome turns out to be very accurate for me during my recovery. I know many of us here have been or are under a wave for months on end and I truly wish for relief for you. I hope everyone here will have a window soon and see the signs that recovery is possible; it is renewing when it finally appears even in some small part. I'm not sure I'm exactly following the typical "windows and waves" pattern, but I had a flare at 4 months, worse at 6 months, worse yet at 8 months, and currently am in the longest, hardest one at 10 months (right at a month so far). Not sure exactly where it goes from here, but I sure hope it let's up soon, and that these episodes don't just keep getting worse and worse. Not sure this exactly follows what you're talking about, but looks like a definite pattern. I'm just wondering .. Do a lot of people have a window and then not have another for absolutely ages? In mid march, I had my best window in this (albeit far from a normal window but I had improvements). I got to about 30-35% which is really good for me and it lasted 7 days. The window closed on about 20th march and I haven't had a window since. Is this normal? Do other people have a window and then have to wait flipping ages for another one? It's been 3 months since I had that window. I really doubt about this 'waves and windows' model; since I started to have bad symptoms like anhedonia last November I haven't had a single window yet and many many months has passed. Luca, I went off Zoloft a year ago basically cold turkey (6 week taper). I have akathisia and many other symptoms. I have had partial days here and there where symptoms are a little more tolerable, but not what I really would consider windows. From what I have been told, some people don't get windows for over a year. Also, it would appear that some people just don't follow the windows and waves pattern. When I read different threads I see people talking about windows and waves in terms of weeks and months. Then on the other hand I see some people mentioning them in terms of days and even hours. I am a bit confused. Are the lengths of these periods that individual and/or can the changes that happen let's say within a day be considered windows and waves? Could it be that a person then has a micro level pattern of windows and waves (within a day) and a macro level one (a period of weeks or months)? Because I know many of us get this pattern of symptoms being at their worst in the mornings and subside by the evening (I have that for sure). Then again I have good days and bad days, good weeks and bad weeks. I don't know if this helps anyone. I hope it does. It came to me this morning and it's helped. When we are in the depths, the 'what ifs' get us and we feel like this is never ending. We are desperate for recovery or a big change. We look far ahead. Today I decided, rather than working towards big recovery and stressing about it all, I would just work towards the next 'better day'. When we are in horrific waves that feel never ending, those better days suddenly come along. It just feels a little more doable somehow. I'm in a huge wave and was dreadful last week but on Saturday it wasn't as bad. Then it went backwards again but these days do come along. So for now, I'm just working towards the next 'better day' rather than looking too far ahead. I agree with you- much better to take smaller steps looking in to the future is too stressful. One of the problems though is that the bad wave sticks in your mind far more than the better window and you almost forget you have had it. Perhaps recording a good moment in a diary is an idea just to convince us that it actually happened. Kira and Coopergirl1--It is not at all unusual for symptoms to get worse around 4 months off. Mine actually got consistently worse from months 4 through 10. Depressing, I know--but perhaps better to know that others experience this as well(?) I do think my 6-month period of worsening symptoms was longer than most. At 14 months off, I seem to be developing a pattern of being better for a day, then worse for a day or two, etc... then I might be worse for two or three consecutive weeks, before going back into the alternating pattern. Those of who have clear waves and windows: can a wave be characterized by a single symptom?? My depression withdrawal symptoms has disappeared for almost three weeks. However I still had other symptoms; zaps, pain, fatigue etc. would it be considered a window on the depression? Or is a window only a window when all symptoms are decreased or gone? The sad and intrusive thoughts are back but not lasting as long. That's the funny part of this withdrawal. On one hand depression let up but other symptoms were strong. My personal opinion would be you had a window on your depression. However If you felt better overall even with the other heavy symptoms Id say you had an overall window. I don't think a window is only when all symptoms let up. In my opinion if your symptoms get stronger than you are going through a wave. This is not a linear process as we have found out. You take a step forward and than a step back. Now you can pick yours. 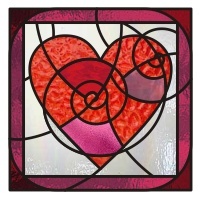 Sending to all a beautiful window for your Valentine! Yes, I think that any illness that causes an immune response can cause a setback and put you in a wave. I don't have any hard facts, just that I've seen so many times that I know it happens. Does anyone know what actually causes the "waves"? It seems if we feel better it would mean that the neuro-receptors are healing...what would make them cease functioning again? Is it just the external stressors like fatigue, stress, emotional responses, etc. that bring a wave or is it the receptors that stop working all over again? I'm 1.5 months out from my last dose and my body still has cravings for the meds from time to time. This blows me away...according to doctors it has cleared my system and I should be home free. Healing will still be happening long after the actual drugs are out of your system. This is a slow re-building, not a quick flushing out. While the drugs were in you, they caused damaging changes to your brain. The drugs leave, but the brain must have time to re-build itself. It is delicate and vital, so the work will be slow. I definitely agree/understand the process of rebuilding receptors, repairing the damages, and the brain relearning how to work. I just have a hard time understanding how we can feel good for 4 days, everything balanced, and then one afternoon it all falls apart. I would think that once one set of receptors starts functioning well again that they would be ok, why would they stop functioning again? I definitely agree that the healing process is non-linear, I guess scientifically/technically it still eludes me how/why it happens this way. I admit to being quite unscientific, but how I understand it is that once one lot are working they keep working. It's different areas each time, or the same ones re-balancing to accommodate the changes that happen each time a different area heals. I agree about pain or discomfort being a sign of healing - like itchiness after a bee-sting. Sorry I can't help in a more scientific way. I know there are people on here who probably can explain it better than I. It seems like there are cycles in the waves as well. It goes between emotional / physical, and within those categories even cycles between different emotional/physical issues.